It can be really hard to find that one TV that meets all your entertainment needs, since there are numerous things to take into consideration when selecting a TV, like picture quality, sound quality, the amount of ports, ease of use, and some other important factors. You will surely want to purchase the one that has all the features and qualities you need, and that makes watching a fun and interesting activity. If you are not obsessed with smart TV’s and smart features, but just want a high quality TV that will provide you with great viewing experience, and a lot of fun and entertainment, you might consider getting this great 32-inch 720p LED TV. 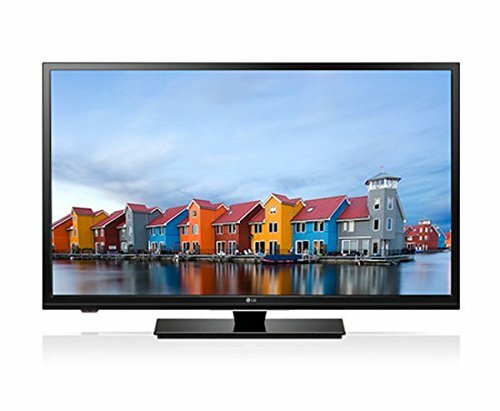 This TV is perfect for your home, you can use it anywhere-in your living room, office, kitchen, bedroom, or guest room. This really affordable TV delivers top picture quality, and makes anything you do with this TV a real entertainment since the images are so nicely displayed. The TV’s LED backlight display offers amazing clarity, brightness, and color detail. In addition, it is really easy and simple to set up as well as to operate, and very energy efficient. This can be a perfect solution for all those who are looking for a great TV for their smaller rooms or bedrooms thanks to its power-saving modes and compact frame. The sound quality is pretty good in smaller rooms, whilst for bigger spaces and rooms, you would probably want to pair it with some speakers. A very pocket-friendly price and some great features of this TV make it a truly awesome choice. This TV is Energy Star qualified meaning that it meets energy efficiency guidelines which are set by the US Environmental Protection Agency as well as the Department of energy. In comparison to some other conventional models, the LG Electronics 32LF500B is energy efficient. This implies that this model utilizes a low amount of energy, as well as it emits very little to none greenhouse gasses, while still providing you with a great picture quality of a high definition resolution. You won’t be just helping the environment, but also saving yourself some money once the monthly energy bill arrives. This type of TV is on average, over 25% more energy efficient than those conventional TVs, saving energy in all usage modes – on, idle, and sleep. This TV offers the best in terms of image quality. The pictures displayed on the LG Electronics 32LF500B are sharper, whilst the colors are more vibrant. This provides amazing viewing experience, as different colors appear in a great way, and everything simply looks better on a HDTV. You will surely enjoy watching your favorite movies and TV shows, and have real fun. Featuring a great 720p image quality, this screen is ideal for gaming, as well. All HDMI compatible consoles can be plugged into any of this TV’s three ports. On the other hand, if you prefer playing something a bit more old-school, the component/composite, and audio out ports are available at your disposal. Thanks to the LED backlighting, this screen is great to use in all sorts of lighting. You don’t need to worry about the annoying glare while trying to play games during the day. Also, if you prefer playing games at night or in a dark environment, the LED backlighting will keep the picture quality just as amazing, if not even better. This is a really great and important feature of this TV which gives you the possibility of connecting the port to your computer. An HDMI input on the monitor provides you with the possibility of connecting a high definition source such as a high-end computer, next-generation videogame console, or a Blu-ray player. This allows you to enjoy watching incredible audio and video from a single cable comfort. With two USB inputs, and three HDMI inputs, the LG Electronics 32LF500B boasts great connectivity options. However, it has only one Audio Out for Digital Coaxial jack, and no additional Sound System options like DTS, Surround Sound available through the Audio menu.